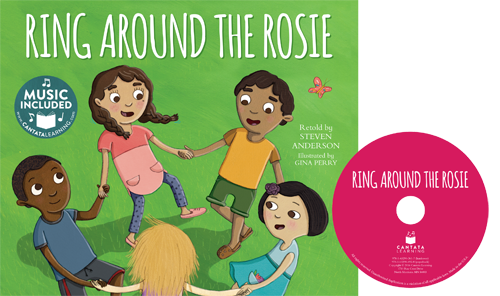 Jump up and down and all around with Ring Around the Rosie, one of the most beloved games for all ages. Full-color illustrations will make you want to grab your friends hands and play along! This hardcover library bound book comes with CD and online music access.